John and Meredith Fleming’s home located at 1226 Ferguson Street. This two story, three bedroom, three bath Federalist style home built in 1942 by the Harris family boasts original hardwood floors throughout as well as original tile work. It also contains artwork by local artists and beautiful quilts made by the homeowner. The dining room holds a piece of Nacodoches’ history and heritage with an antique dining table that once belonged to the Hayter family. Rickie and Leslie Heard’s home located at 108 Hospital Street. Built in 1961, Mize Department Store was a shopping destination for much of East Texas rivaling many upscale department stores of the day. Ricky and Leslie heard bought the building in 2010 and transformed the store into an office for their business, CBH Insurance Agency, along with a loft style apartment as their home. The Rudisill Family Home located at 821 North Street. This Dietrich Rulfs home built in 1896 is one of Rulfs’ earliest homes in Nacogdoches. The Queen Ann home was commissioned by one of the town’s early families and founders of the commercial bank, the Blounts. The home was constructed for their daughter as a wedding present. The home was purchased by Henry Rudisill in 1915 and remains in the family today as part of the Rudisill Family Foundation. The home has a distinctive large mansard roof, fish scale shingles and round-arch windows that decorate the roof gables. The ceilings are 14’ high and the 9’ doors are solid mahogany. Harold and Caryl Hall’s home located at 1102 Millard Drive. This 1964 Hal Tucker designed home sits on 6.5 acres. It is truly a country estate setting in the city of Nacogdoches. From the back of the home one can view a park like scene of pecan, magnolia, pear, walnut and oak trees. The home was purchased by the Halls in 2007. They recently completed a renovation project that includes a designer gourmet kitchen and sitting area as well as a new brick patio. Mark Ammons’s home located at 612 Oak Lane. The charming home of Mark Ammons is back on our tour this year. Be sure to notice the new additions and architectural features throughout the home, new paintings and artwork and blue and white porcelains. Outside additions and gardens enhance the beauty of one of Nacogdoches’ most unique homes. Archie and Judy McDonald’s home located at 1204 Millard Drive. Built in 1980 as a riding stable for the Millard Riding Academy, this home sits on eight beautifully landscaped acres. A portion of the stable was converted to a small home in the 1990’s. In 2002 Archie and Judy McDonald purchased the property and completely renovated it over a nine month period. The Tour of Homes is part of the 17th annual Nine Flags Christmas Festival. The Nine Flags Christmas Festival is a celebration of Texas history & culture and is held Nov. 23 through Dec. 14 in Nacogdoches, located about 150 miles north of Houston via U.S. 59. Nine different flags have flown over the oldest town in Texas throughout its rich history, and this year’s festival will pay special tribute to the Lone Star flag. Platinum sponsors of the festival include Commercial Bank of Texas, Legends at SFA / Lumberjack Lofts, Mike Perry Motor Company, Texas Farm Products and Walmart. 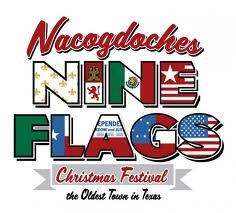 For more information about the Tour of Homes or other Nine Flags Christmas Festival events, contact the Nacogdoches Convention & Visitors Bureau at 936-564-7351, visit www.nineflagsfestival.com, and friend us on facebook @ Christmas Celebration. The Haunting of Parker Cemetery- A good ghost story, whether read aloud or spun around a campfire, is always a little better at Halloween. 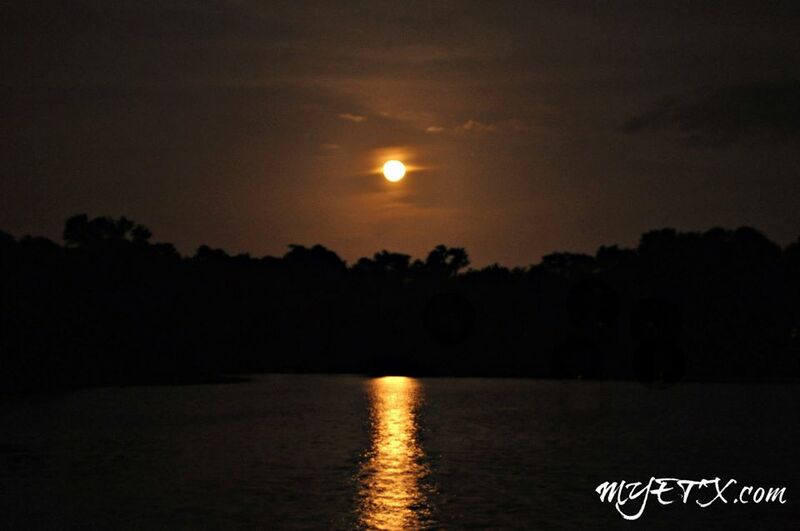 In Texas, the ghost stories get better with age, through blending the diverse Texan cultures, tall tales, and timeless stories. Some of the haunted Texas legends are humorous, some are haunting, while others are terrifying. 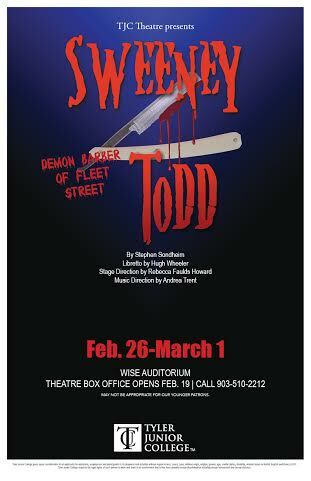 TYLER- Tyler Junior College (TJC) is proud to present Sweeney Todd February 26 – March 1, at Wise Auditorium. Sweeney Todd is a musical thriller directed by TJC faculty member Rebecca Faulds. Winning the 1979 Tony Award for Best Musical, Stephen Sondheim’s “thrilling and brilliant, exquisite and beautiful” masterpiece of murderous “barber-ism” and culinary crime is set in 19th-century London and tells the twisted, terrifying tale of Benjamin Barker, alias Sweeney Todd, who returns to London after being banished for 15 years on false charges. Now he’s ready to exact revenge on those who wronged him.